Michael Jaeger reported an outburst which he saw on his images of 1 july 2018. 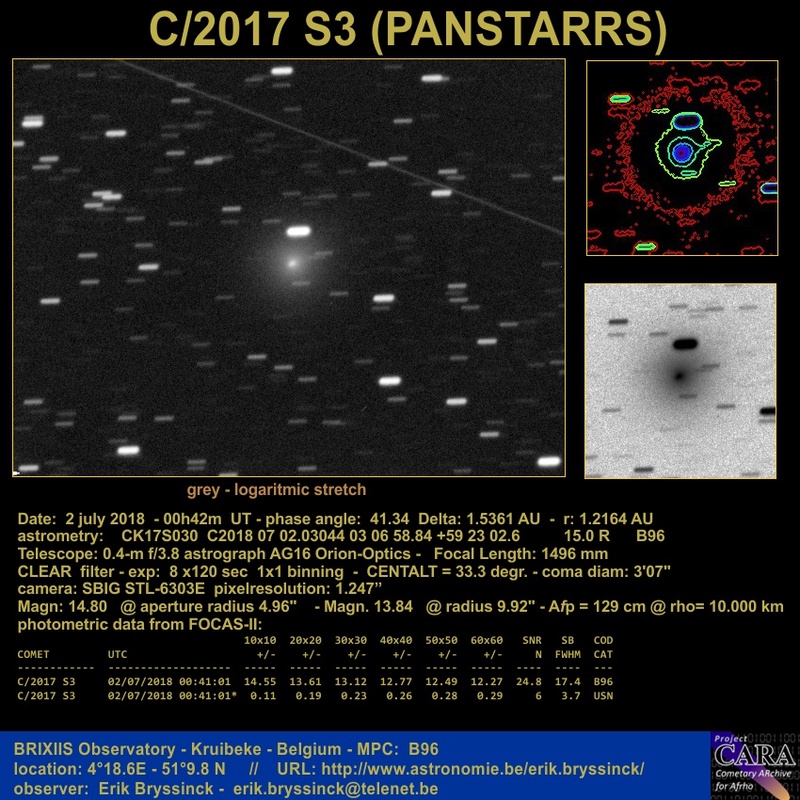 Here an image of C/2017 S3 taken in the same night. It turns out that the outburst was started the day before (night of 28/29 june) according daily observations and Af(rho) parameter. Although this comet will not survive the perihelion passage it is still interesting to follow the behavior of this comet. Unfortunately, this comet is far to the North and is positioned low on the Northern sky, which makes observation difficult.